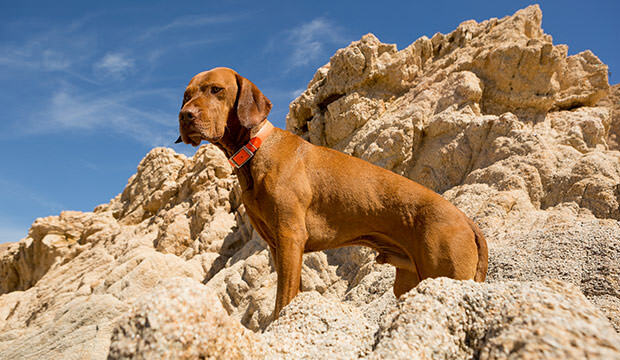 The Vizsla breed as we know it today was created by crossbreeding the ancient crafty, quick, and careful breed with the Weimaraner and the German Shorthaired Pointer. That crossbreeding decision turned out to be perfect, as this proud, loyal, energetic, and gentle breed is the most amazing companion any dog owner could ask for. These stunningly beautiful pups easily and quickly adapt to family life, and they get along with all family members, while also being friendly with other people and pets. They form strong bonds with their owners, and it’s not unusual for them to follow their human parents around the house all day. They’re especially great with children of all ages, but aside from families, their ideal human companions are active, sport individuals (especially joggers and hikers), and experienced dog owners. Vizslas are too big for apartments, so if you’re considering getting a Vizsla, you should also consider buying a house if you don’t already live in one. Aside from having a lot of run for playing and running around (preferably a big backyard), these pooches also need long walks on a daily basis and occasional opportunities for running free off the leash. They really do need their exercise to stay in top shape and health. 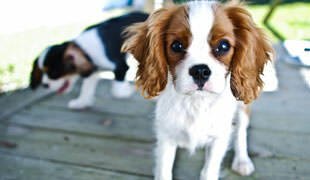 They also need proper training from an early age, as they have a tendency to be rambunctious, timid, or excitable. Vizslas also crave for attention and if you don’t deliver, they will run free with their quirky habits like chewing on shoes, randomly hopping onto laps, digging holes all the way to China, and stealing food. If you train them properly, you shouldn’t have any bigger issues, as they are smart and generally calm. With a life-span of approximately 15 years, vizslas are generally healthy, but as all big dogs, they can develop hip dysplasia. Some other health concerns are epilepsy, skin allergies, and hemophilia. When it comes to grooming, these lovable pups won’t take a lot of your time. 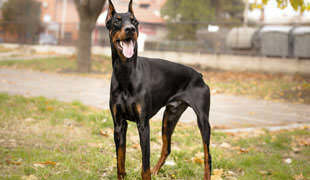 Occasionally brush them to keep their glossy, short, golden-brown coat “on fleek.” Their stamina can evidently be seen on their muscular, athletic bodies, and their complete physique granted them the title of one of the most beautiful and unusual-looking breeds on the planet.